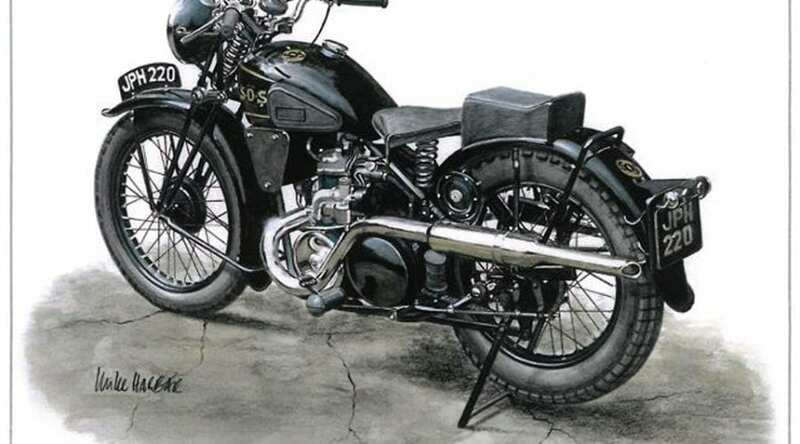 Features six two-stroke motorcycles drawn in pencil and water-colours at A4 size. Profits go to the Air Ambulance. 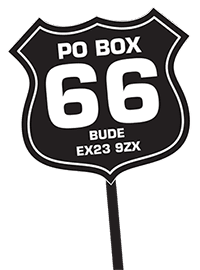 For UK delivery, send a £10 cheque payable to East Anglian Air Ambulance to Andy Tiernan, The Old Railway Station, Station Road, Framlingham, Woodbridge, IP13 9EE. 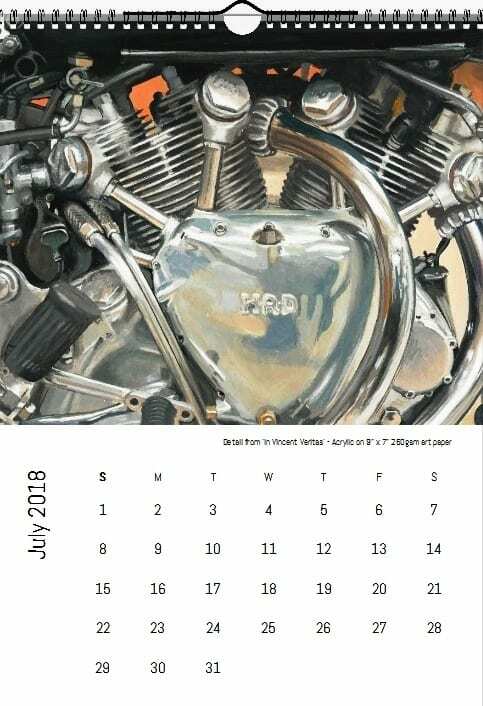 The 2018 calendar features 19 different images of motorcycle life from Talana Gamah’s hand-crafted acrylic paintings. £15.99 including UK delivery (RoW at cost). 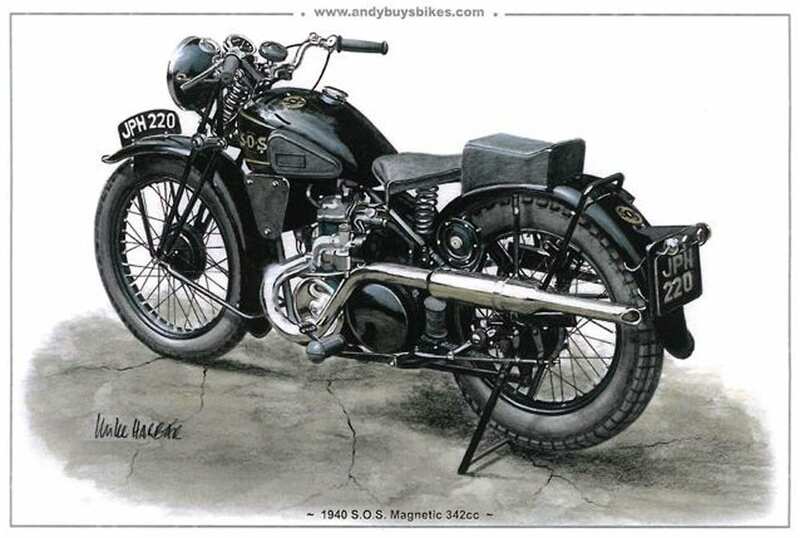 The latest item of RC regalia makes a great gift for any motorcyclist. 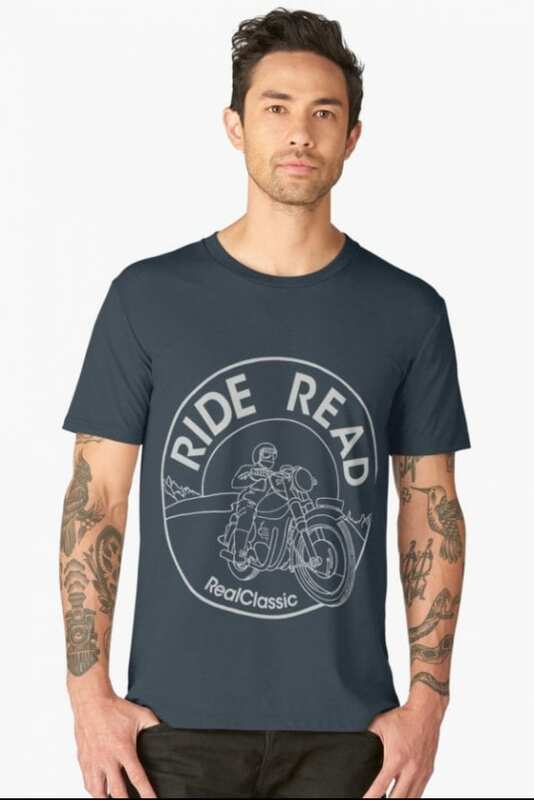 These high-quality cotton-rich short-sleeve Gildan shirts are steel blue/grey in colour, so the odd spot of oil won’t notice. 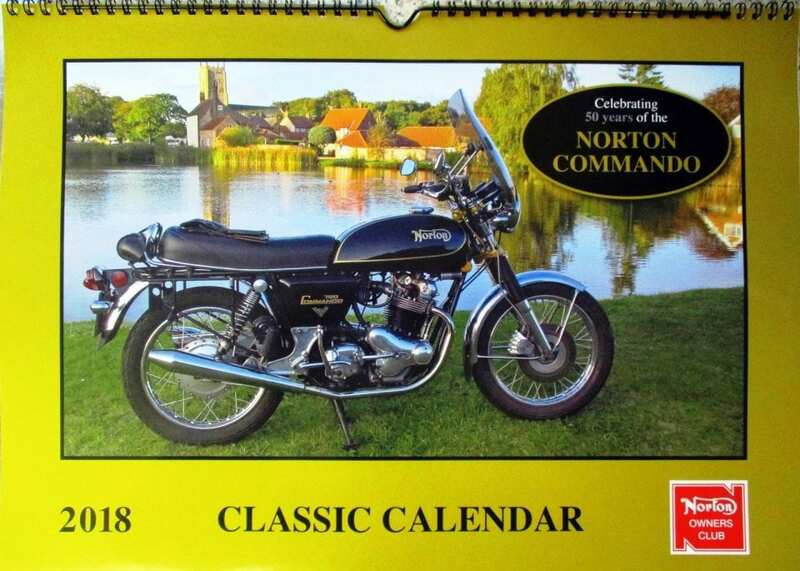 THE NORTON OWNERS’ CLUB really go to town with two versions of their calendar. 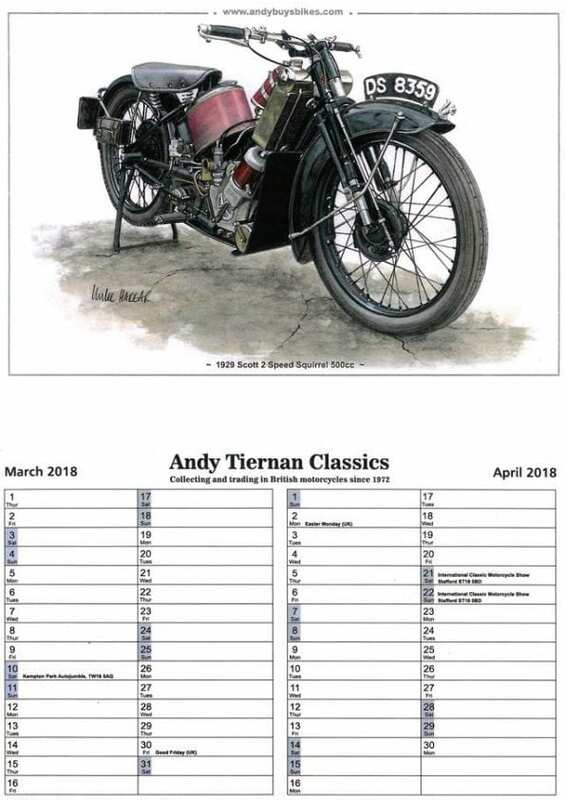 The first is a whopper at A3 size, with 13 handsome bikes of the marque enhanced by glossy varnish, and plenty of space to write your own notes. Then there’s a desktop variety which features the same images but sits pyramid-style on your desk. 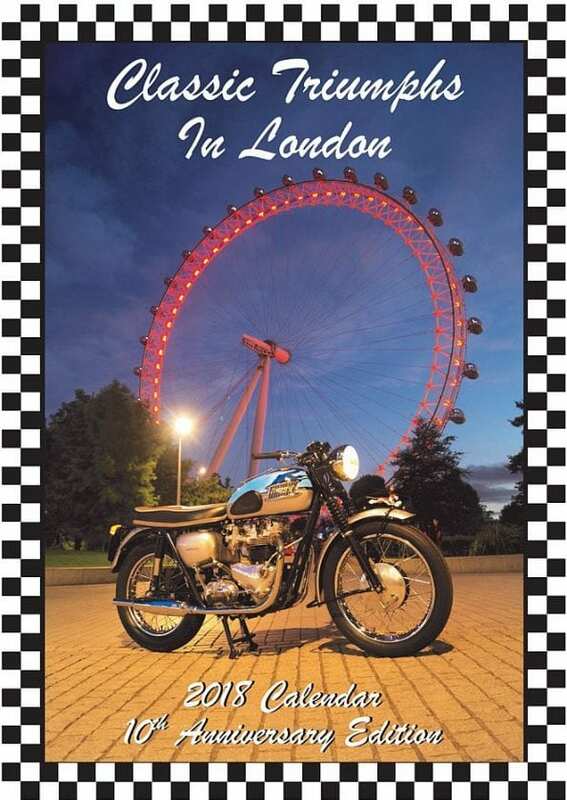 ACE CLASSICS celebrate a decade of producing a Triumph-themed calendar with this ‘London’ special edition. 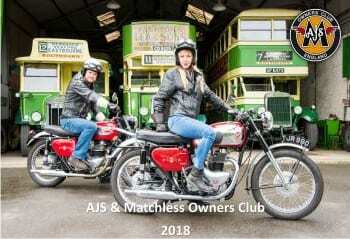 13 rare and remarkable machines of the marque have been photographed at some of London’s most iconic landmarks. 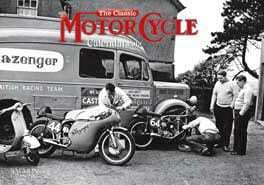 Featured bikes include the Thunderbird, trophy, Tiger, Speed Twin – as well as the inevitable Bonneville. 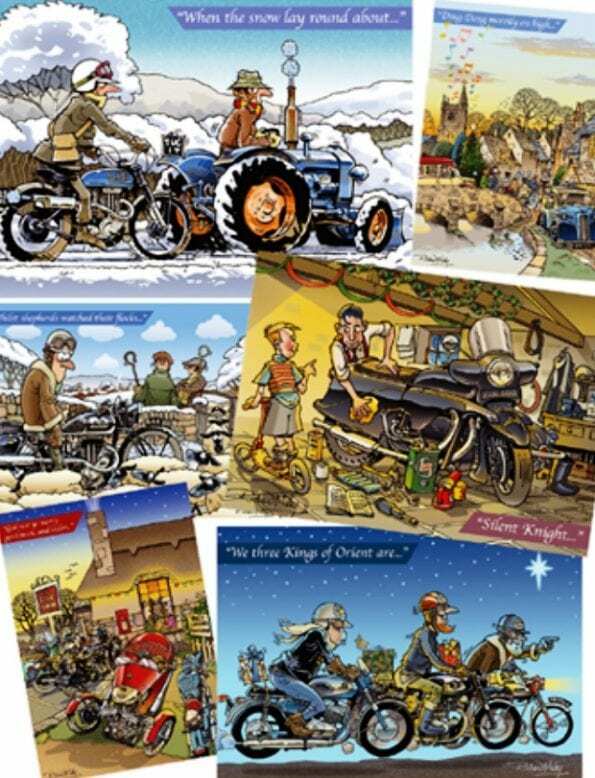 THE VMCC CHRISTMAS CARDS were drawn by artist Richard Maby. 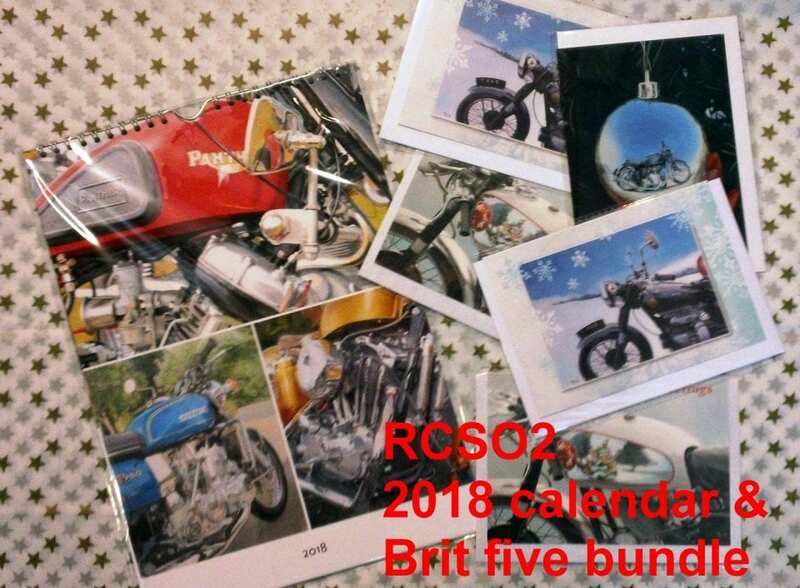 They’re A6 size and full colour, and cost £4 for a dozen from the VMCC Shop. 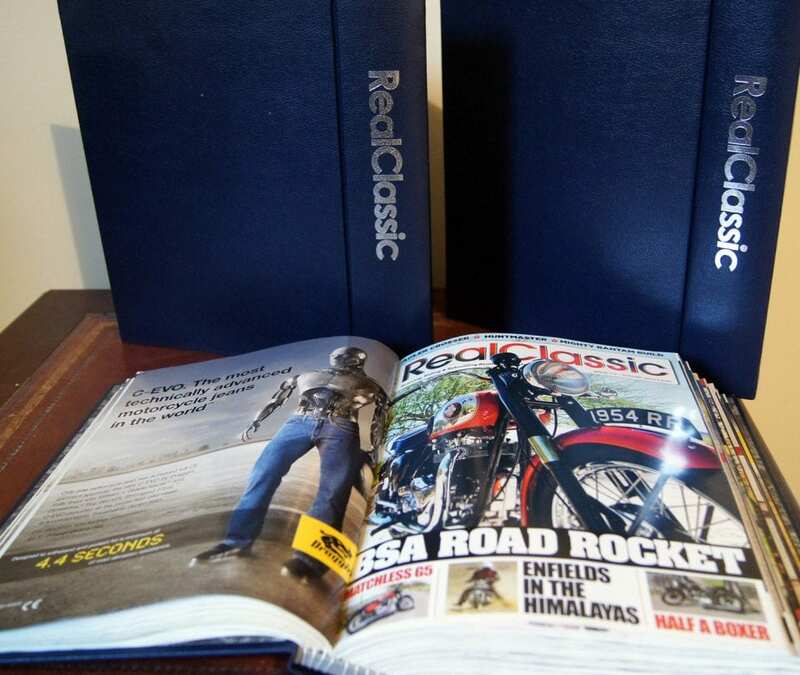 MAGAZINE BINDERS to keep your collection of RealClassic copies neat and tidy – and accessible for reference — cost £9.99 including UK delivery. Each blue binder fits a full 12 issues of the magazine, with the title emblazoned in smart silver lettering along the spine. A handsome additional to any bookshelf!